You can set the expiry date for course. Login into Learnyst as Admin and go to Course settings. You can go to course settings by navigating through from Admin dashboard Courses > [Your Course] > Course Builder > Settings > Pricing. You can either set validity of the course or set the expiry date. 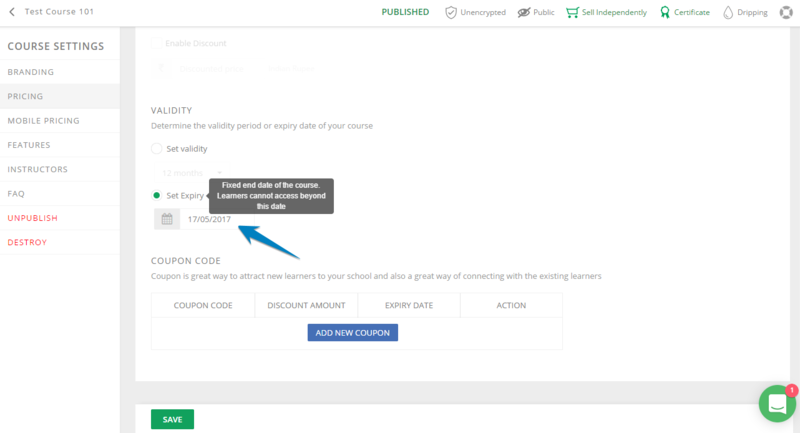 To set expiry date switch to expiry date option and choose from the calendar, the date on which the course is expected to expire. Save the change.